Melting snows high in the majestic peaks of southwestern Colorado’s San Juan Mountains forms the beautiful and powerful San Juan River in Utah. 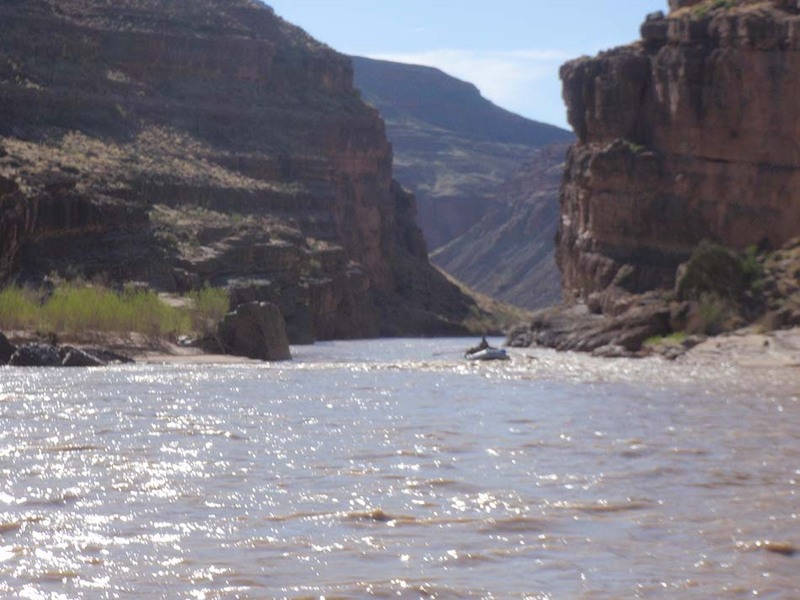 Cutting deep through the high plains of the Sonoran Desert and shaped by 300 million year old canyons that inspire the name of the legendary Canyonlands National Park in Utah, the San Juan River remains a major tributary to the famed Colorado River. 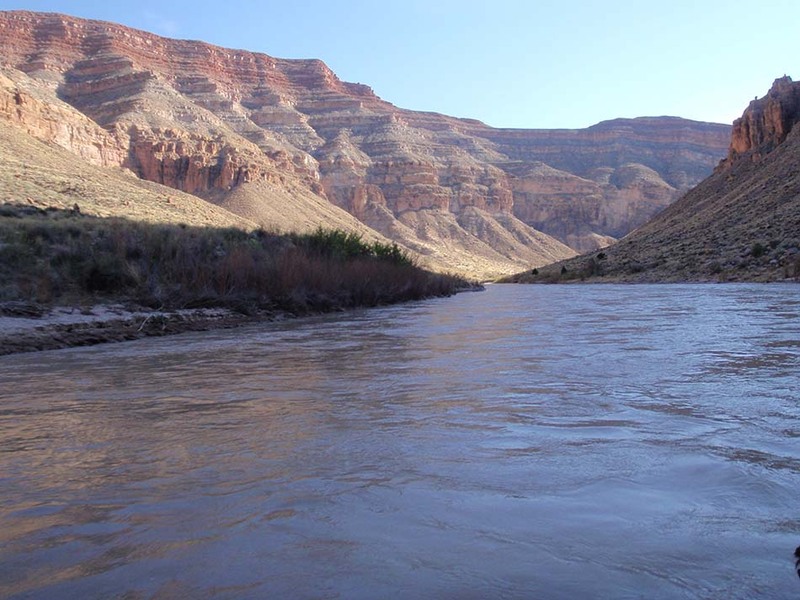 Beyond towering red rock canyons and elaborate stratigraphic formations, the San Juan River is also notably the fastest flowing river per mile in the United States. Miles of high volume and good current are interspersed with numerous Class II and easy Class III rapids, making the river eminently canoeable and with no portages. 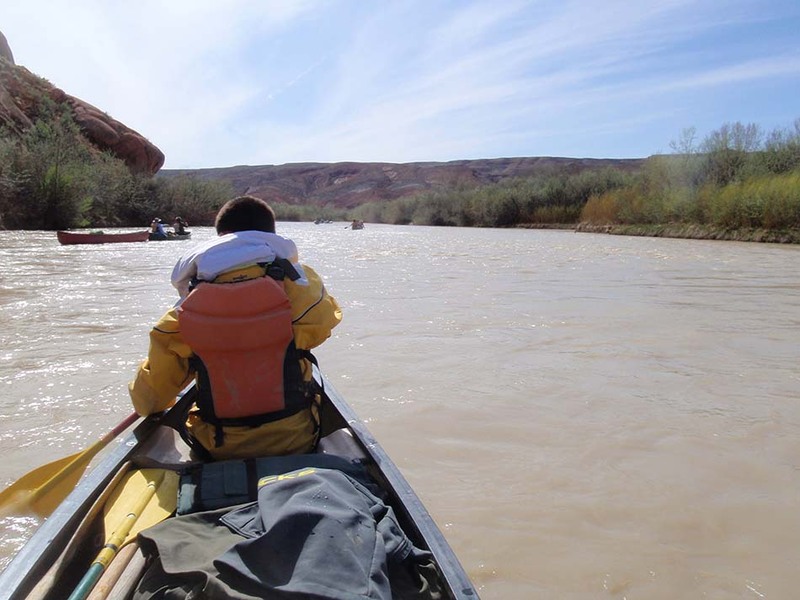 San Juan River canoe trips with Smoking Rivers begin at a location called Sand Island, just outside the small town of Bluff, Utah. The river, maintained by the Bureau of Land Management (BLM) flows over 80 miles from this location to its terminus at the northern reaches of the expansive Lake Powell. On its way, the river passes through miles upon miles of majestic canyons, subtly hued with colors of red, yellow, and green with the passage of time; famously, the inspiration for the beautiful and colorful Navajo blankets common throughout the American Southwest, was drawn from the vistas on this very section of the San Juan River, which it remains today as the home to the largest Navajo Reservation. 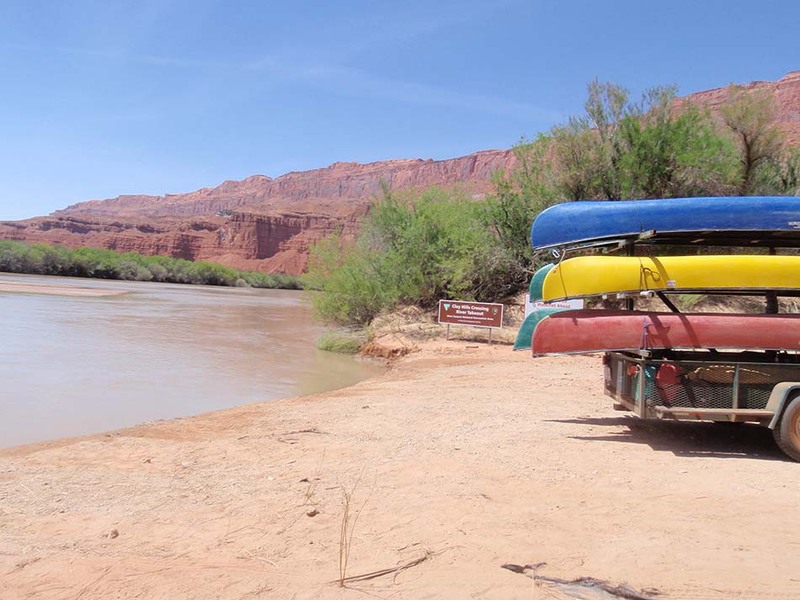 For the first few days of our San Juan River canoe trip, we take ample opportunities to explore the landscape we are traversing. 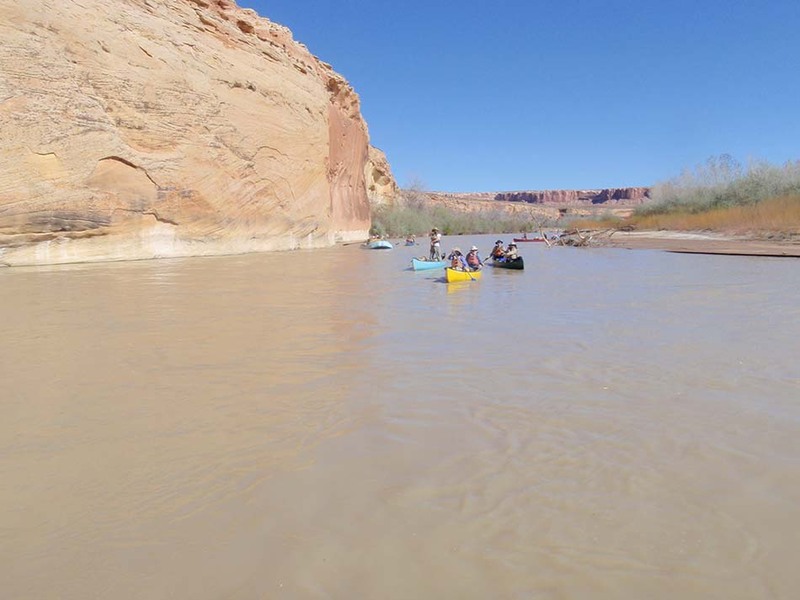 There are numerous remarkably well preserved petroglyph panels that can be viewed by short side-hikes and toe-hold routes used by the ancient Anasazi can often be seen whilst on the water. 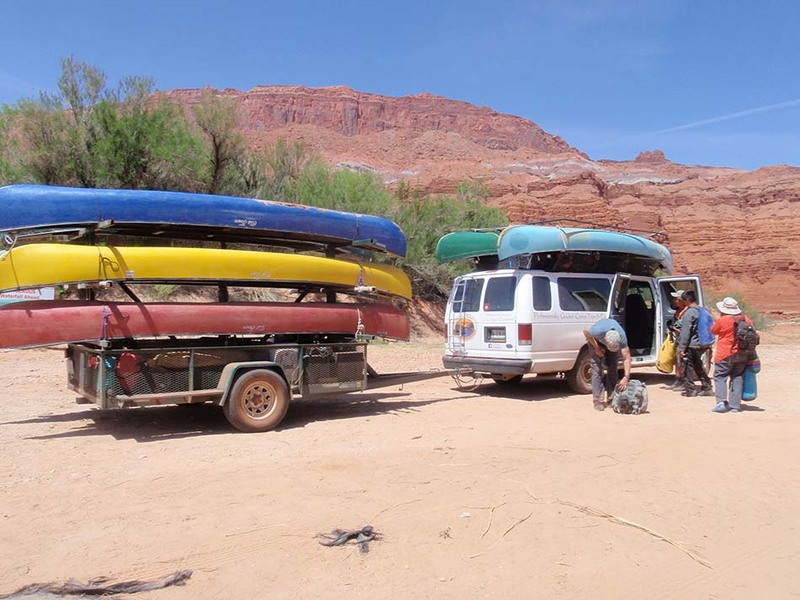 Perhaps the most popular side-trip on the San Juan River canoe trip is a stop at River House Ruins. 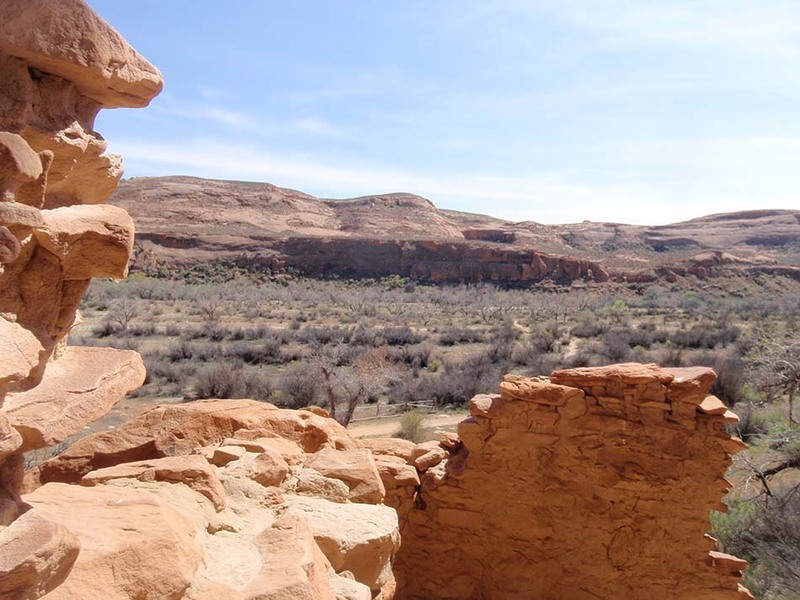 An ancestral Puebloan ruin, these structures were built under and into the cliff-sides of the river but were suddenly abandoned, for reasons still unknown, over 700 years ago. 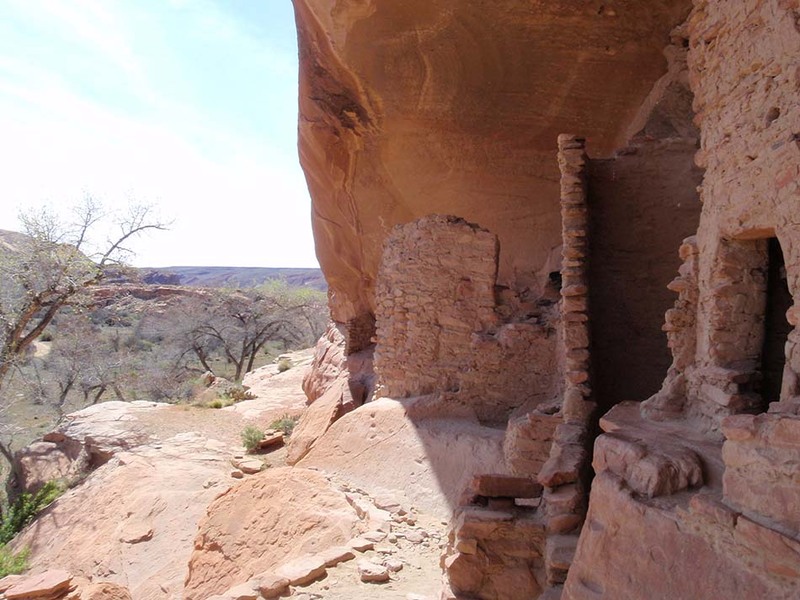 Today, paddlers that wish to embark on the short hike to these ruins will find many remnants at this extremely well preserved and maintained cliff dwelling, such as colorful pottery shards and other artifacts of the ancient people. 50% Deposit required at time of reservation. Remainder due no later than (21) days prior to trip departure (non-refundable). Perhaps its most renowned feature is the rich display of prehistoric life left over 2000 years ago by the former inhabitants of its banks. 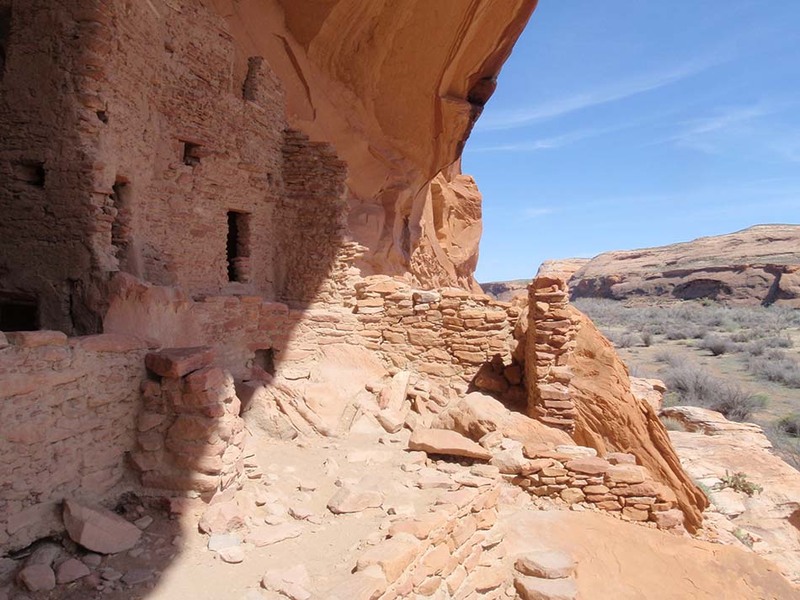 Called Anasazi, the ‘Ancient People,’ by the Navajo Indians who succeeded them, this mysterious early civilization built elaborate cliff dwellings, which are amazingly well preserved, as are their spiritually symbolic petroglyphs. The petroglyph panels found on the San Juan River canoe trip are some of the best preserved anywhere, due to their remote nature. Huge panels, such as the Cachina Panel are noted throughout the world and paddlers are encouraged to take plenty of time to view these beautiful and striking examples of the ingenuity of the ancient people. 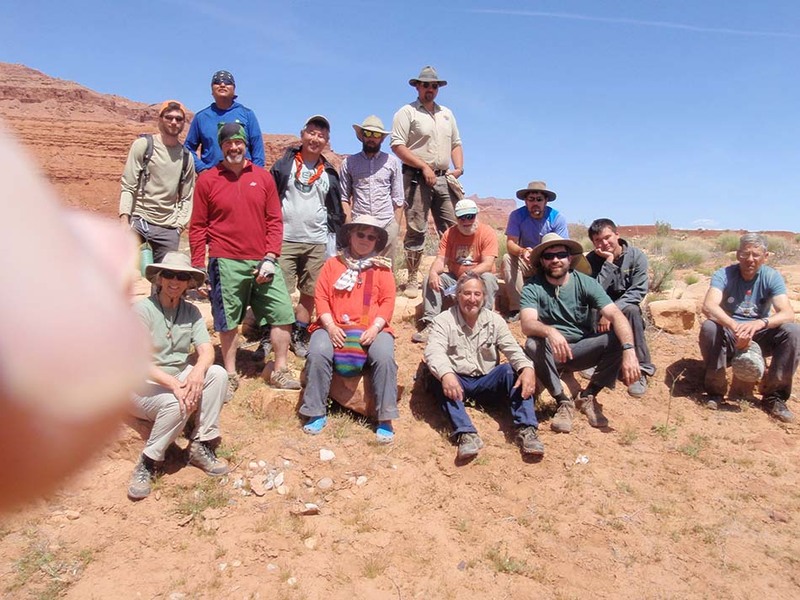 Today, many of the artifacts are on land that is part of the Navajo Indian Reservation and are preserved by these people. 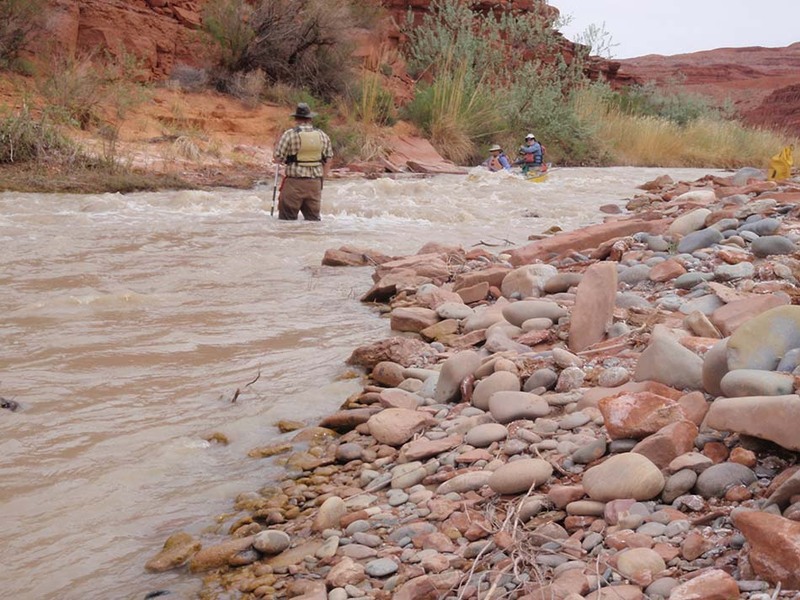 The cultural significance of the San Juan River to the modern Navajo Indians is tremendous and these people maintain an important heritage and respect for the river. 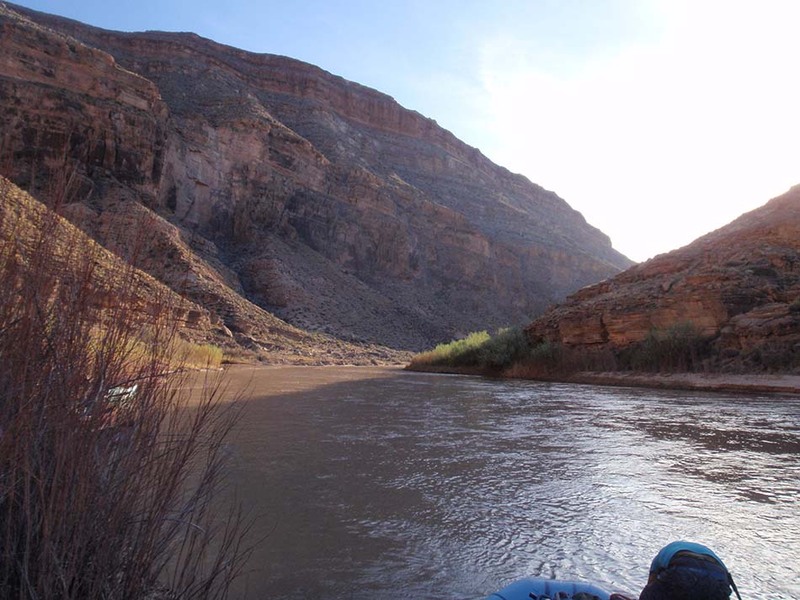 Deeper canyons soon become a part of the San Juan River canoe trip as we enter into an area marked by the Honaker Formation, a fossil-rich limestone layer that predominates throughout this part of the river trip. Additionally, rapids begin to be numerous in this section, including Four-Foot and Eight-Foot Rapids. As with all of Smoking Rivers trips, we take the utmost care to ensure the safety and enjoyment of our guests and we will Scout all of the major rapids thoroughly to ensure success. 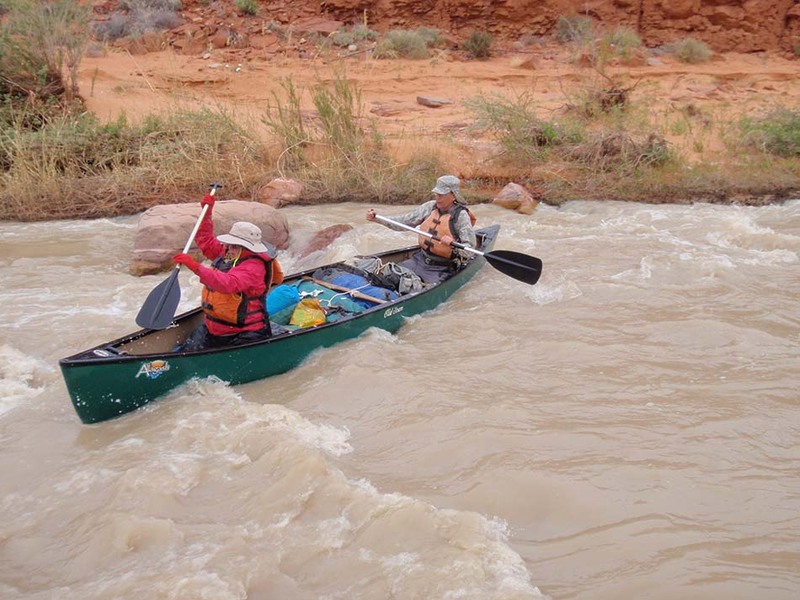 For those adventurous paddlers wishing for a thrill and a taste of whitewater, the San Juan River features this excitement on nearly every day of the trip. Starting easy, with the aforementioned Four-Foot and Eight-Foot Rapids, the sections increase in size and difficulty as the trip goes on. 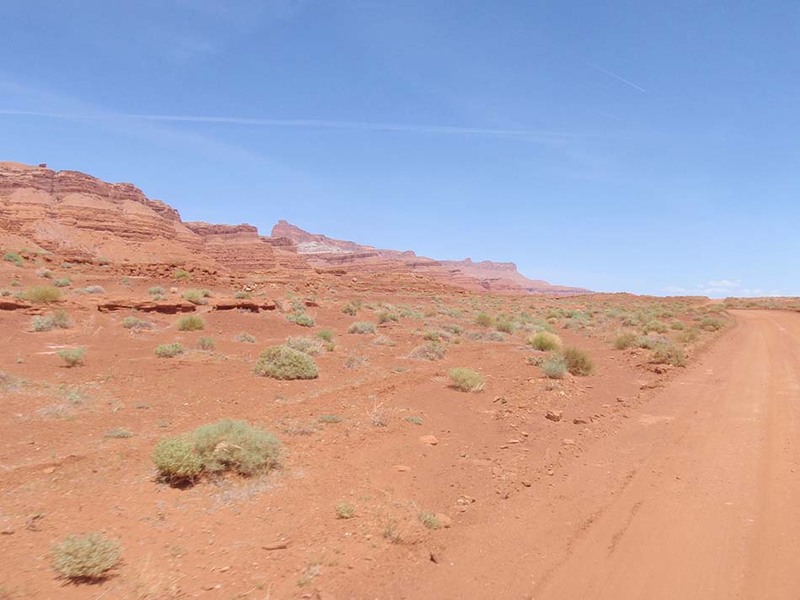 The San Juan River trip passes through the noted town of Mexican Hat, Utah, so called for its rock formation that resembles a sombrero. The succession of canyons upstream of Mexican Hat ends shortly before the town and the Mexican Hat Syncline begins here, marking a deeper descent into the canyons. 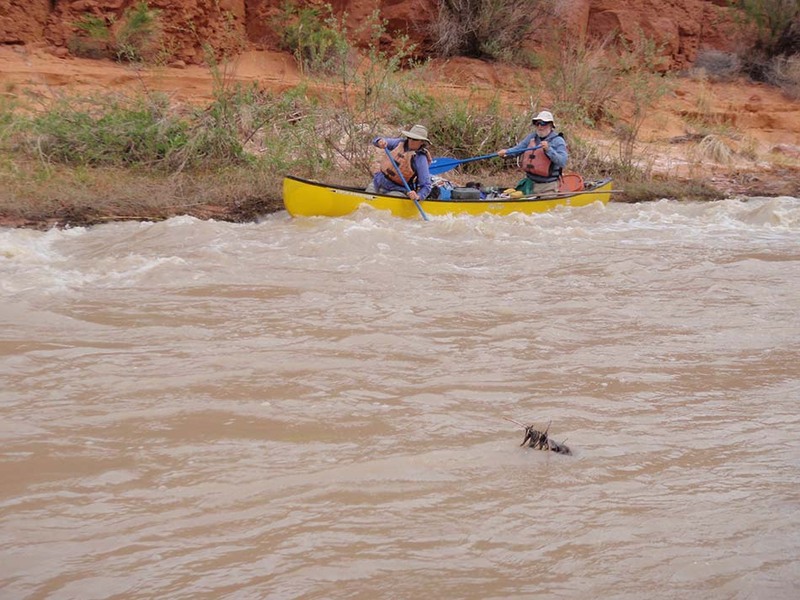 One of the most famous sections of the entire San Juan River is located not far from Mexican Hat; the Goosenecks. 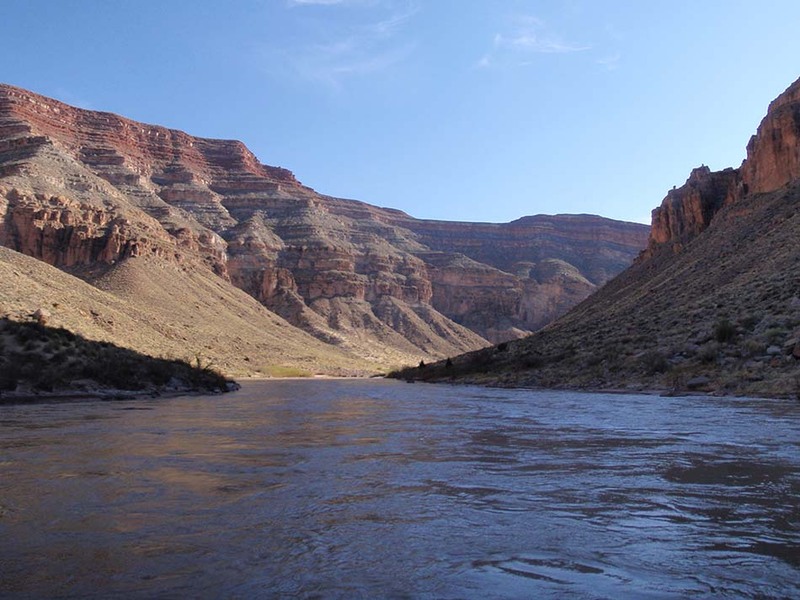 A series of meandering turns made by the river in this area affords those who climb to the top of the canyon a breathtaking panoramic view of the river they have just paddled and the river they are about to paddle. The river meanders in such a fashion throughout this section that paddlers will canoe 5.2 river miles to gain a distance of just 1.3 miles as the crow flies. Historical remnants on this section of the river are tremendous examples that this river was home to industrious individuals for decades who were looking to ‘strike it rich.’ Many pioneers flocked to this area in search of gold, gypsum, and petroleum. While oil has been found in small quantities throughout the San Juan River Valley, gold was never found in enough quantity to be productive. However, a number of cabins and outposts still remain that harken back to this era of the river’s history. Side-hikes are possible on most days to these locations, such as to the Mendenhall Cabin or throughout Slickhorn Canyon. Slickhorn Canyon is one of the favored side-canyons of Smoking Rivers’ Guides. A popular location for side-hikes, there are remnants of oil exploration near the mouth of the canyon dating to the early 20th century. Today, we enjoy taking ample time to explore this area on foot, as well as taking time to enjoy swimming in a number of deep, natural spring pools that are a wonderful place to cool off. 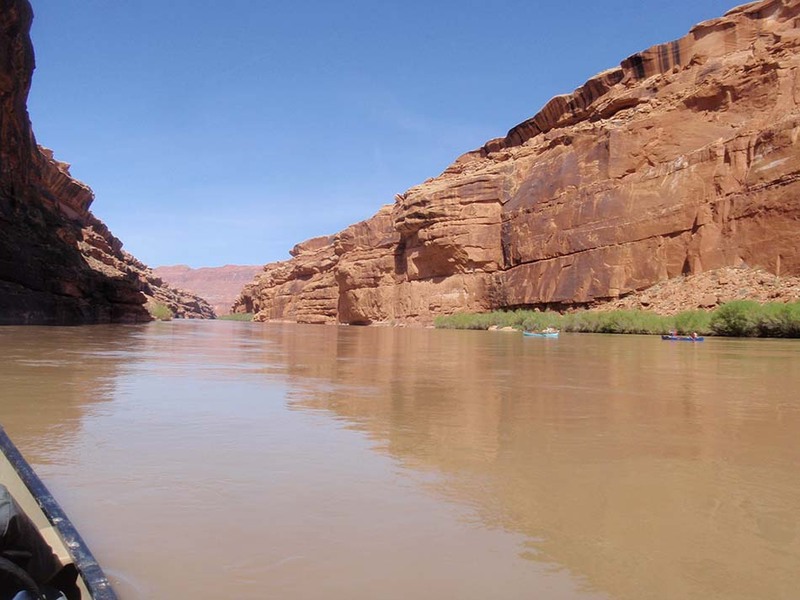 Beautiful canyons abound throughout the duration of the San Juan River canoe trip and we will take as much time as our schedule allows, exploring as many of these canyons as possible. 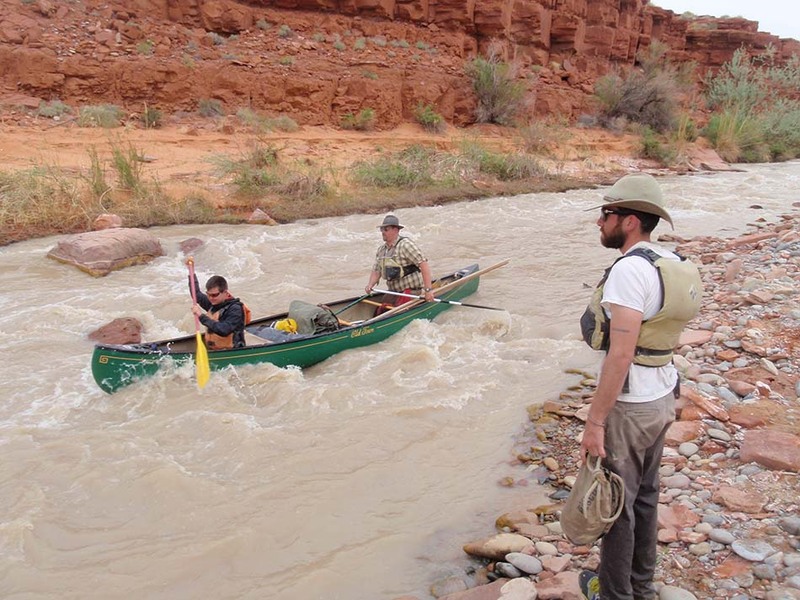 Smoking Rivers organizes a canoe trip on the San Juan River every April in an 8-day fashion. 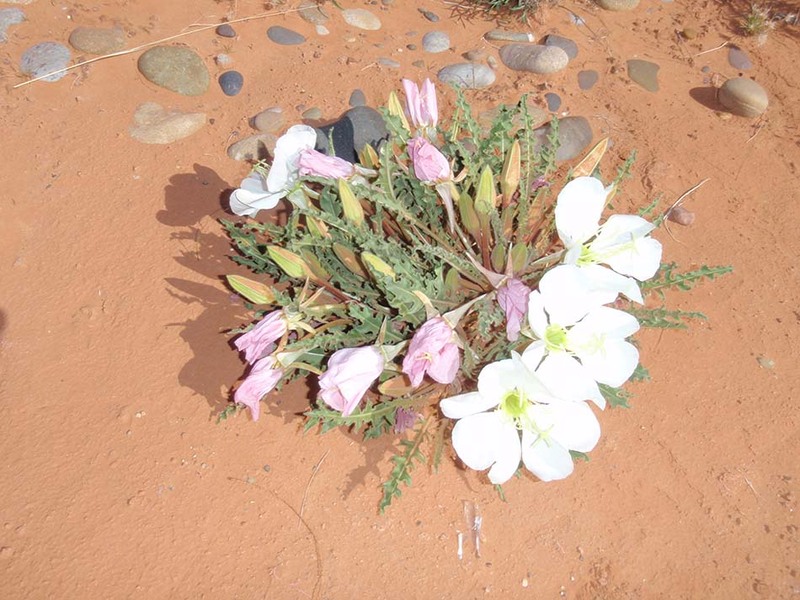 April is generally considered springtime in the desert of southern Utah. Days are generally warm and nights can be cool, so preparing for a large swing in temperatures from day to night is important. Rain is uncommon but not unheard of. Insects, such as mosquitos or blackflies, are unheard of on the San Juan River. Depending upon conditions, flowers and cacti may be in bloom, providing an even more colorful backdrop to the subtle hints of color marking the canyon walls. 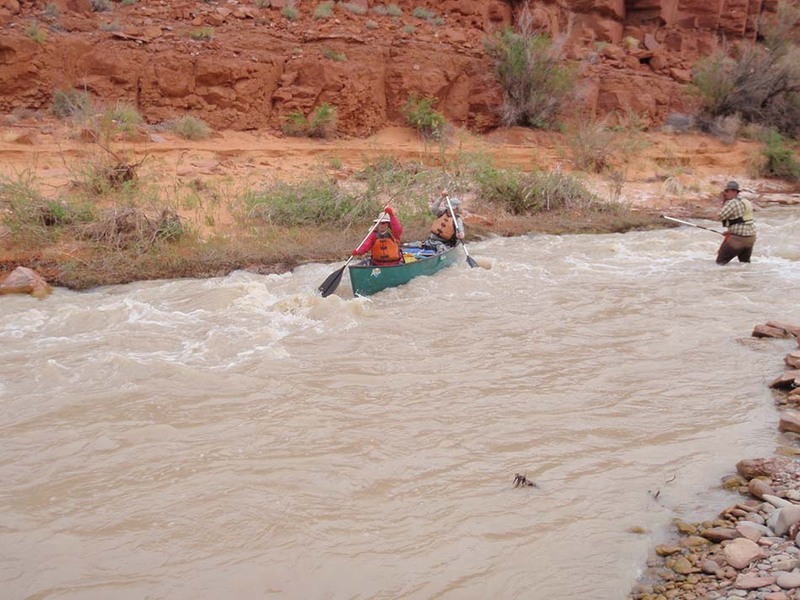 The San Juan River canoe trip is best undertaken by those with some prior paddling experience, due to the fast-moving current and larger whitewater. Smoking Rivers’ professional guides will take the utmost care to instruct everyone in the group to ensure success and safety in the whitewater but knowledge of a canoe is helpful on this particular river. Due to its remote and extended nature as well, prior camping experience is recommended for this trip.